Several community members shared stories of why they chose to live here and how getting involved changed their perspective. 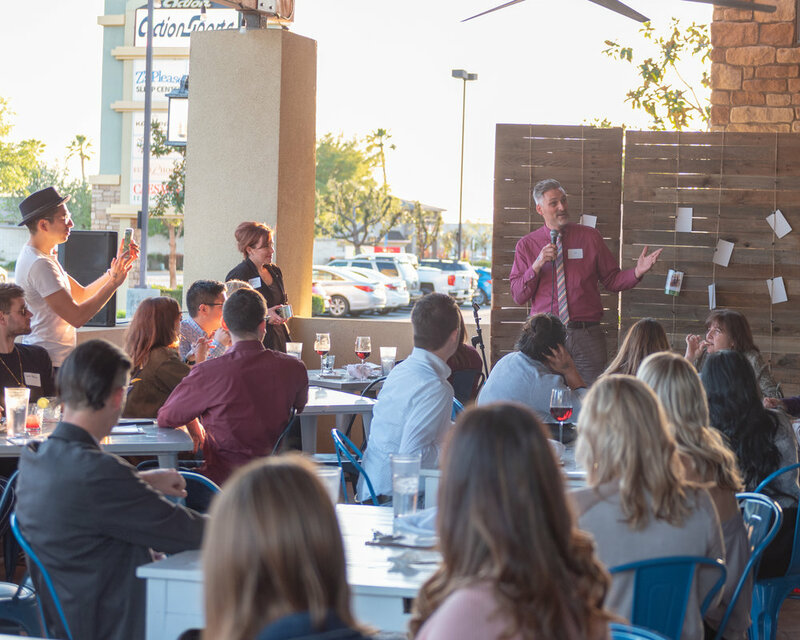 Speakers included Dr. Connie Lee of Adventist Health Bakersfield, Rachel Magnus of the Bakersfield Museum of Art, David Anderson of Moneywise Wealth Management, Shannon Brown of Sonder Restaurant and Alex Rockey, Ph.D. candidate. Each story encouraged us to keep thinking about and discussing why it truly is the best time to be in Bakersfield. In between speakers, attendees helped create a living wall that spells out B-K-F-L-D, representing how being rooted brings life to every day. The evening was not just about mixing and mingling — we also wanted to create something that would live on beyond the event. We were overwhelmed and overjoyed to see so many people show up ready to change the conversation around living in Bakersfield. These are people who want more than just going to work from 9-5 and then heading home. Whether you come to Bakersfield for work or family, we believe you can get so much from this place if you put yourself out there, get involved and show who are and what you have to offer the community. 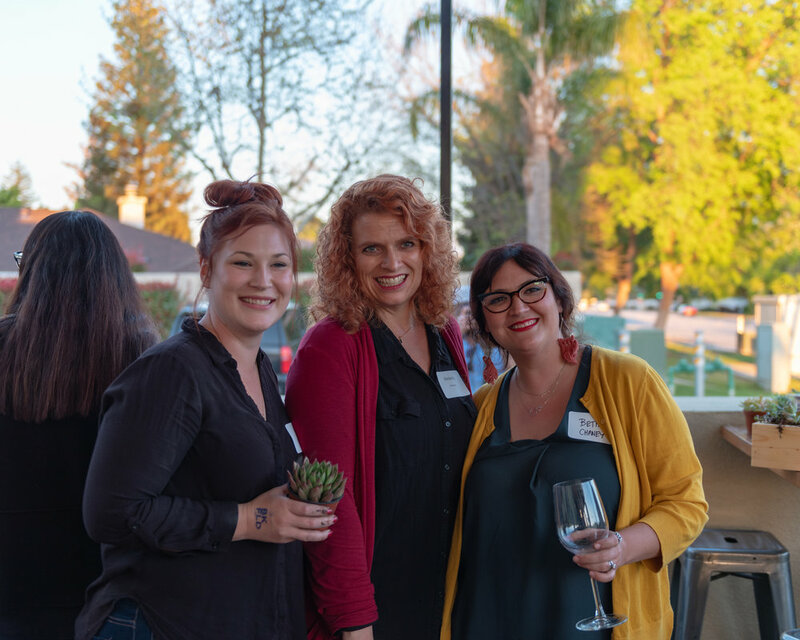 We were even more inspired as we looked around at the Sonder patio and saw strangers and friends talking, laughing and taking pictures — all making connections. Everyone was eager to help with the living wall and had fun planting in the letters. It may have seemed strange to some that we asked them to get their hands dirty and dig deep in the soil. But sometimes life is about getting your hands dirty and doing some work to get yourself rooted, anchored and committed. And that’s what our hope is for everyone who lives here. To find your people and do some intentional work to commit to the Bakersfield community. The B-K-F-L-D living wall will start at Adventist Health Bakersfield and eventually tour around town. We hope that, when people see it, they will be proud to call Bakersfield home. Brainstorming is already underway for the next event. Our hope for future Be in Bakersfield events is to see even more people participate. We hope we can bring more brilliant ideas to the table as we encourage and inspire our community to commit to this place and take pride in where they live. What about you? Do you need to get rooted in this place you call home? And a special thank you to Jon LeVan for sharing his carpentry talent and skills with us.